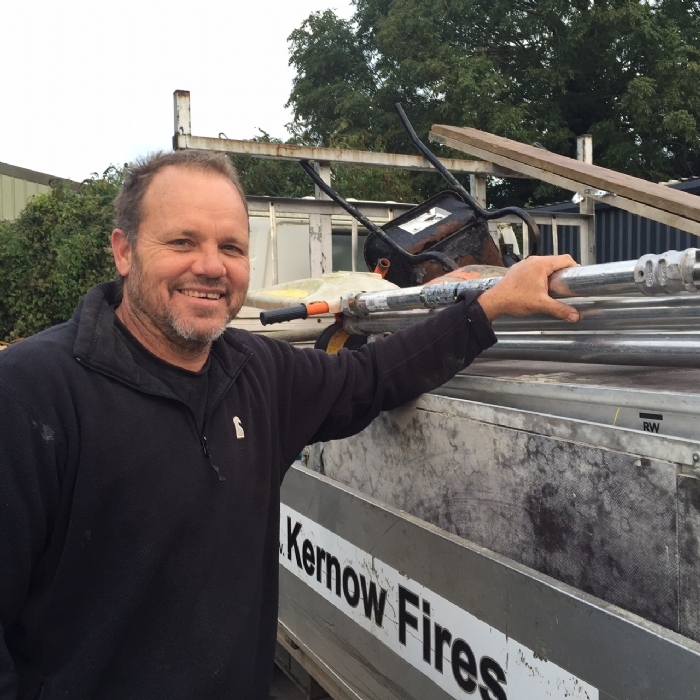 Kernow Fires is off to a busy start and our team has grown again! Three new members of staff have joined us. 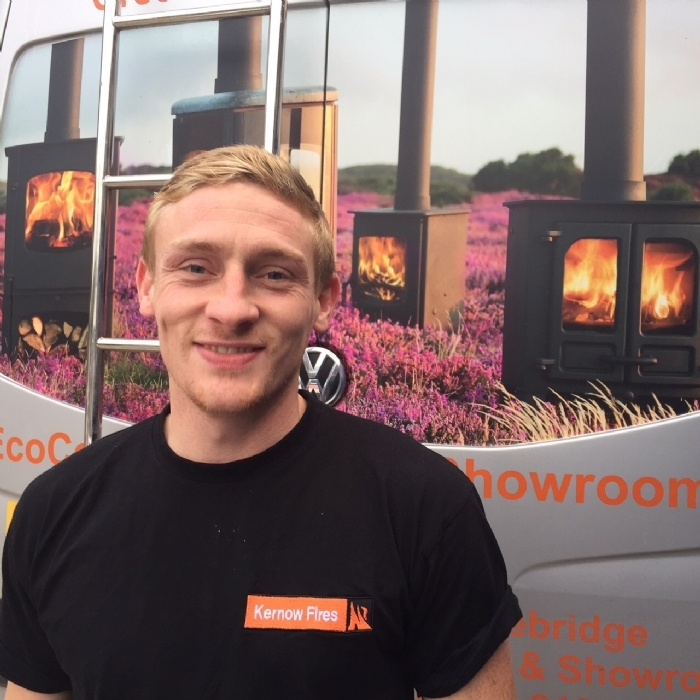 Eric has relocated to Cornwall specifically to join our team. Ricky is still in his first month while Harold has been with us a little bit longer having joined the team in the summer and is a fully qualified HETAS engineer. They are all doing a great job! We now have 5 teams of highly skilled installers working for us all year round enabling us to bring our installation dates forward, which is keeping our customers even happier. 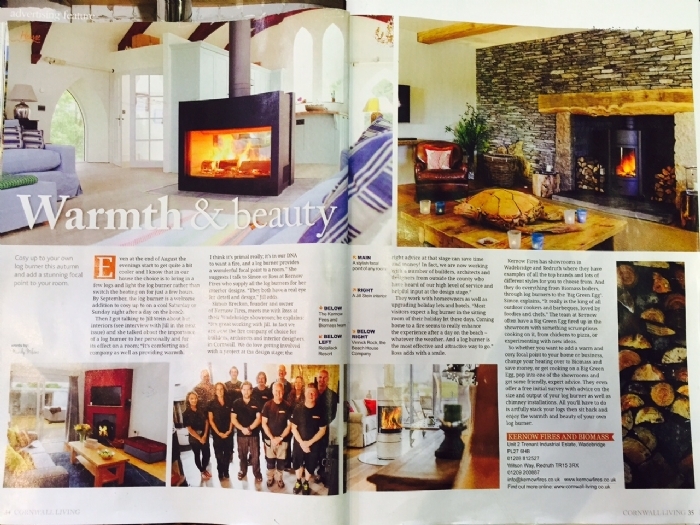 We have fantastic coverage in the local magazines this month with wonderful editorial in Cornwall Living Magazine where we receive a fantastic endorsement from Jill Stein for whom we have fitted a number of fires. 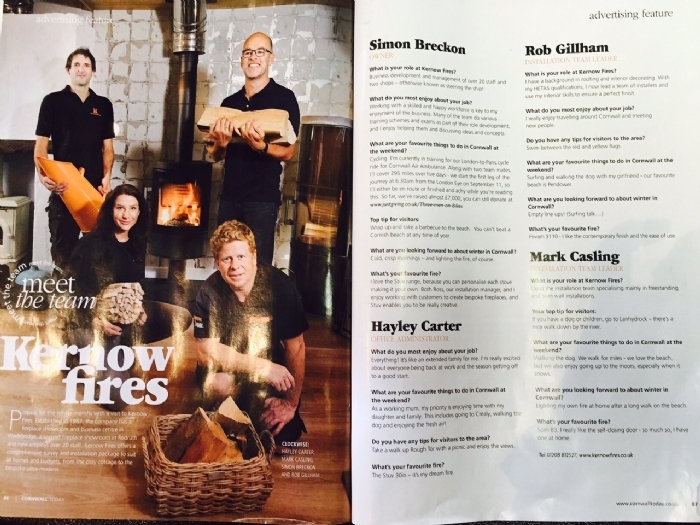 Cornwall Today visited the showroom and interviewed some of our growing staff to produce a really lovely ‘Meet The Team’ double page spread which has also been well received so far. We have also been featured on the front page of the Cornish Guardian and Simon has had another mention in the North Cornwall Advertiser for all the money he raised for Cornwall Air Ambulance last month!. 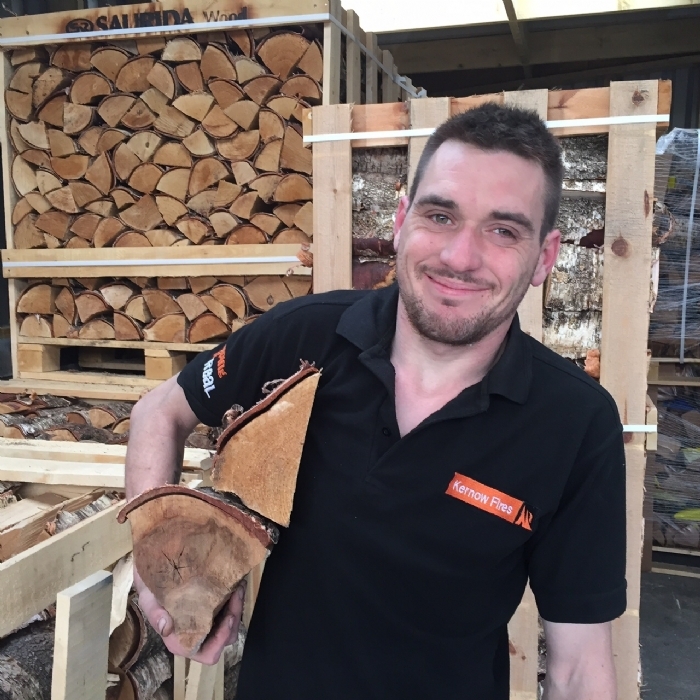 Our newly completed log store has been filled again and we have plenty of kiln dried logs ready for delivery. Call today to order yours! And don’t forgot your kindling at £10 for 5 bags. So pop in a see us soon!